This high-stakes sequel to Velvet proves that when you’re the only human caught in a paranormal war, high school can get a little tricky. With Adrian’s brother trapped in hell, the Praetorian Guard has made Stony Creek their base-of-operations, but Caitlin has a bad feeling they’re more interested in her than in finding Lucian. Caught in a sea of conspiracies and lies, Caitlin and Adrian perform a risky magical procedure in an attempt to protect Caitlin from compulsion. Relieved that her nightmares have ended, Caitlin is disturbed to find that something even stranger has taken their place. Determined to get on with her life, even amid a crazy paranormal manhunt, she applies for a competitive summer fashion internship in New York. Searching desperately for answers about what Caitlin might be, how Adrian’s father is involved, and where Lucian has been kidnapped to, Caitlin and Adrian must rely on each other to survive. But when the truth finally comes to light, the consequences are unimaginable. And the question still haunts them both: even if they survive, how will they deal with the fact that Adrian is immortal and Caitlin is not? After reading Velvet, there was one thing I so desperately wanted: the freaking sequel. The utter and pure enjoyment that came from reading Velvet and its vampy fun had me in a fantastic, giddy mood and wanting more. 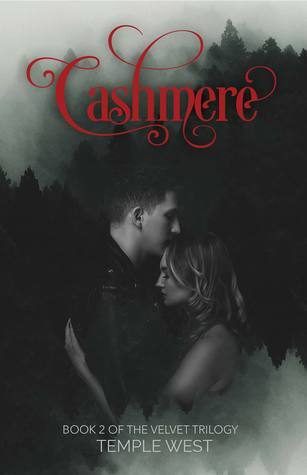 So imagine my reaction when (months later, boo hoo) the eARC of Cashmere was available as "Read Now" on NetGalley. You can bet your fangs I downloaded it faster than you can blink, and read it very soon after. There's...something about this series. It's very reminiscent of Twilight (honestly, I got some serious Volturi vibes here), but I got over that in Velvet once I started getting addicted to the whole of the book. Sometimes I want to say a book isn't of the highest quality, but I mean it in a way that's neither offensive nor negative. It's like pitting Spongebob Squarepants against Game of Thrones. You can find both extremely enjoyable and good, but one clearly has a certain sort of quality the other doesn't, but they're both something in their own way. This series is like Spongebob. I enjoy it. It's fun! And it's a world I can escape to and feel good in--and I really, really like that. My one problem--what I have to nitpick about--may be that there's a certain lack of credibility and believability and realism. Vampires and all that aside, some things just feel a slight bit off or over the top. It's not that I don't like it; it's that I expected a different route and maybe wonder what that route would do for the story. Don't get me wrong--I breezed through Cashmere (I started it one night and finished it the next and that rarely happens) and didn't want to put it down and was fretting as I neared the end. But here I am, a couple months later, struggling with what to put in this review. 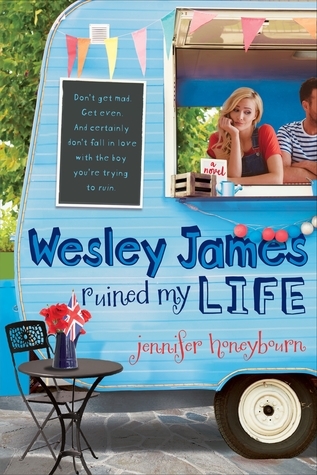 (It's probably not even the book's fault this review is so miserable; blame me instead.) All that said--I did like it! I certainly and most definitely did did did. I really like Caitlin and Adrian's story and they're super duper cute together like my gosh. And I was a fan of some of the new characters, too--and not a fan of others. Would I reread it? That's certainly a possibility. Would I purchase it? Eventually. Who would I recommend it to? People who like vampires but don't mind the vampire book not really being a vampire book, cute and somewhat adorkable romances, and stories that are fun, entertaining, and just pure joy to read.